It has been quite an astonishing few months now with several high profile air-accidents coming to light. What has been stranger is the bizarre way these have taken place. There was a plane which is still missing while another was missing for a few hours before it was tracked. There was an accident where a civilian aircraft was shot down by a missile. And all these have only led to one result – loss of innocent lives. While our heart pains to hear these stories, less feeling sorry for the lost souls and more being worried about a future potential of such accidents, I was curiously caught with inquisitiveness to understand one thing – How do they track the plane in the skies? And so was born the foundations for this post. While flicking through news channels and browsing through the spectrum of articles, I wrote down an RTI to Ministry of Civil Aviation in India asking them to explain the system of tracking airplanes in Indian skies. As one would expect, my application kept being referred from the ministry to DGCA – Directorate General of Civil Aviation and then to AAI – Airport Authority of India. But the solace was that after all the referrals and delays; I got a letter - sorts of response from the authorities. Based on the response of that application and some research over the big bad world of web, I collated a picture of what all is part of aircraft tracking!! The task of ensuring safe operations of commercial and private aircraft falls on air traffic controllers. They must coordinate the movements of thousands of aircraft, keep them at ­safe distances from each other, direct them during takeoff and landing from airports, direct them around bad weather and ensure that traffic flows smoothly with minimal delays. As an aircraft travels through a given airspace, it is monitored by the one or more air traffic controllers responsible for that region. The controllers monitor the plane and give instructions to the pilot. As the plane leaves that airspace division and enters another, the air traffic controller passes it off to the controllers responsible for the new airspace division. Air traffic controllers use radar systems positioned at or near the ATC facility to get a real-time overview of the aircraft flying in the airspace they control. The Air Traffic Controllers today are served by many types of radar equipment such as Primary Surveillance Radars (PSR), Secondary Surveillance Radars (SSR), and Mode S for monitoring traffic in the air, and Surface Movement Radars (SMR) for traffic on the ground. Airports and ATCs actively track flights using two radar methods, called primary and secondary radar. Primary Radar transmits a beam of radio frequency energy and subsequently receives the minute proportion of this energy which has been echoed back to it by the target. This reflected signal is picked up and processed to provide a display which shows the location of the target. Primary radar does not require the object to engage with the signal, so even if a plane is not communicating with ground control, it will still be visible on primary radar. However, primary radar does not "talk" to the aircraft to determine its flight information. Hence nowadays as technology progresses, ATCs have started using secondary radars as the more important tool in daily tracking requirements. Secondary surveillance radar is more complex and specific. This more advanced system has a longer range than primary radar, so it can extend coverage farther out over the ocean. It works using a series of periodic "handshakes," repeatedly sending query signals to the plane and receiving answers back that verify the target's location, identity and altitude. The problem with secondary radar is that these depend of active transponders which can be switched off or disabled by loss of power. In case of earlier hijacking situations, it has been observed that these were forcibly switched off from aircraft cabins. It is hence that primary radars are still in service and are used as back-up to ensure flights could be tracked and located even if the on-board transponders are non-responsive. However, once an aircraft is more than 240km (150 miles) out to sea, radar coverage fades and air crew keep in touch with air traffic control and other aircraft using high-frequency radio. For emergency situations and to track the aircrafts during an accident, Indian authorities require further provisions. The aircraft carries emergency beacons, which could be activated either manually or automatically in case of a distress situation, such as an accident, a crash, sinking, fire explosion etc. These units when activated, transmit signals that are detected by Cosmicheskaya Sistyema Poiska Avariaynch Sudov (Russian) and Search and Rescue Satellite-Aided Tracking (COSPAS-SARSAT) Satellites and related to ground receiving stations i.e. LUTs, which track and receive the data and provide user identification and location data via a Mission Control Center to a Rescue Coordination Center (RCC) or Maritime Rescue Coordination Center (MRCC). In the aftermath of recent incidents, DGCA has ordered airlines to track all their aircraft in real-time to avoid a recurrence of the problems as faced when a Malaysian airliner vanished over the South China Sea in March but continued to fly on for hours, officials said Wednesday. The directive makes it compulsory for all passenger and cargo planes in Indian airspace to use "all suitable means" to track all aircraft from the moment of their departure to arrival. The directive by the civilian air traffic regulator requires Indian airlines to track their flying machines using the onboard Aircraft Communications Addressing and Reporting System (ACARS) or Automatic Dependent Surveillance - Broadcast (ADS-B). 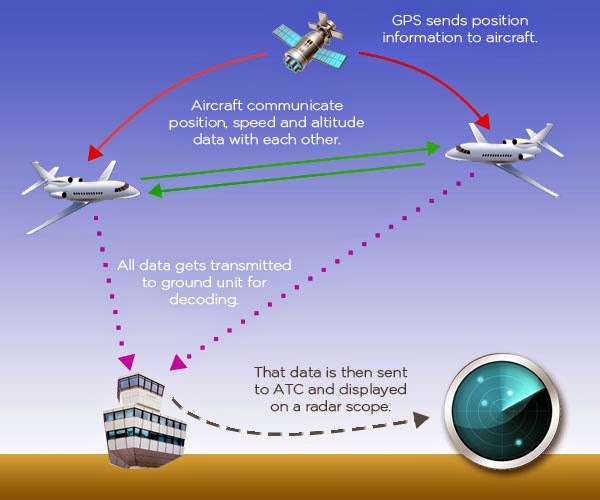 ACARS is a digital data link system that is increasingly being used for the transmission of short messages between aircraft and ground stations via air band radio or satellite as well as flight tracking. 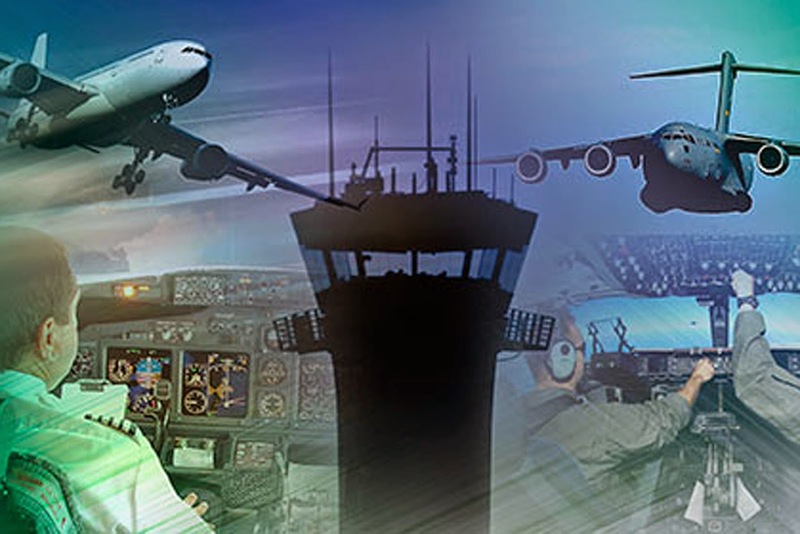 Important functions of the system include the automatic detection and reporting of changes to the flight phases, information about weather conditions and flight plans, and the transmission to ground stations of the conditions of various aircraft systems and sensors for maintenance-related tasks. Operators will be required to ensure those systems are working before each flight. Also the directive requires the airlines to give strict instructions to the pilots to ensure that they do not switch off ACARS/ADS-B during flights in any situation. There are more options out there which can be leveraged to ensure better tracking and monitoring of flights. While GPS (Global Positioning System has become a common name in modern life with each smartphone carrying a small chip, the world's air traffic control network has still not grown to use this technology. Aircraft today use GPS to show pilots their position on a map, but this data is not usually shared with air traffic control. Some of the most modern aircraft are able to "uplink" GPS data to satellite tracking services, but handling large volumes of flight data is expensive and such systems are usually only used in remote areas with no radar coverage. The new ADS-B system being mandated by DGCA is one such system based on the GPS technology and hence is definitely a very welcome step from the regulator. Personally, I feel that the technology is all there and these may not be the only ways to keep a tab on the birds in the sky – the ones that carry passenger and goods. It is critical to harness the best of the available options to ensure that such incidents do not reoccur as a single such accident in air is a threat to airline industry as a whole. It reduces passenger confidence in air travel and in country like India where the means is already not the most popular because of high fares, it is easier for people to stay away from it. And while I think the impact is more prominent in India, a recurrence of any such incident would not deter people around the world to be circumspect while travelling by air. Though one may not have a choice when one has to travel, but there would be real potential for other technologies of tele-communications to gain stronger grounds just on pretext of helping avoid air travel. It is probably this threat that world bodies which are stakeholder in this area are scrambling to tackle situation. International Civil Aviation Organization (ICAO) which is the United Nations aviation agency has begun work to develop mandatory tracking standards. Furthermore a task force set up by global airline industry group the International Air Transport Association (IATA) has agreed to come up with proposals for better tracking by the end of September which the members would begin implementing them voluntarily even before the mandatory standards are enforced. In case you have further views on the article above or would like to suggest improvements, do feel free to express yourself in the comments section. I would look forward to your comments, suggestions, appreciations or criticisms.